I had reviewed bibble labs bibble pro software several times as a solution to Digikam, Lightroom, etc in Linux. Most recently I tried the bibble labs pro v5 series in October. I was ready to shell out the $299 but for the life of me couldn’t figure out how to order the software from their website (and I am an IT person). 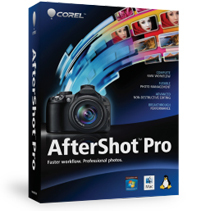 Anyways, Corel software purchased Bibble Pro in January 2012 and released it under the new name Aftershot Pro. They also reduced the price down to $99 (or $79 if you are upgrading or have a license version of lightroom). I immediately bought a license….and you know, if Adobe would release Photoshop for Linux, I would do the same thing. Everybody knows I have been an avid daily linux user since…..1995 or so, and I switched to linux as my primary desktop around 1997. The ONE struggle I have had since day 1 is that I do photography as a hobby and since I started using photoshop (I think around version 3), I have never been able to find a permanent solution for linux. I have used gimp, I even used gimp in the photography classes I taught but it is lacking in several areas…..one being 16+ bit support, the second being layered tiffs, and the third being its just not photoshop. Then, along came lightroom while I was actually beginning to use gimp with digikam more….and that pretty much moved me back to photoshop again. So, I have been fighting with trying to keep photoshop and lightroom working on wine and really just wishing adobe would come out with a photoshop and lightroom version for linux (I think they would make a freaking killing), trying Bibble again and trying to decide if I wanted to pay the price (I actually went to purchase it and for the life of me couldn’t figure out how….so you guys lost a sale just because there was no way to make a purchase from my signed in account with my expired trial license)…..when I came across Darktable. 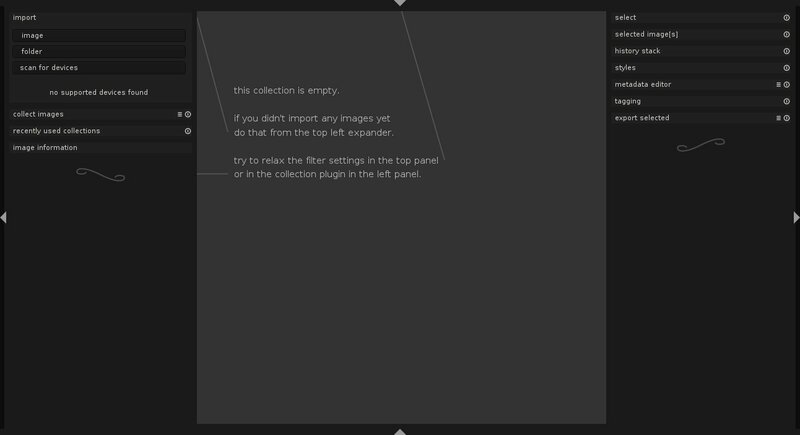 Darktable aims to be a replacement for Lightroom. Its really easy to install too.